The Tribeca Press Lounge services include access to computers, internet, and press releases and materials. Our Press Department staff is on hand to assist with interview requests and provide up-to-date information on press screenings, events, and interview opportunities. At the Tribeca Festival Hub you can use The Nespresso Lounge, The Bai Lounge, or the Tribeca Rooftop. Each of these spaces are open area lounges, accessible to badge holders, and first come first serve. The Roxy Hotel (2 Sixth Avenue): The Festival offers complimentary space that can be reserved by the films to conduct interviews. Many Tribeca films will hold media days and conduct interviews at this location. The Festival hosts arrival media opportunities for the filmmakers and cast members who are in town for the premiere of their films. Daily media advisories will be issued with details on these premieres, arrivals and other events. Access for one (1) to all pre-Festival press screenings. Access for one (1) to all Tribeca Talks® panels and Tribeca TV events. Excludes events located at the Beacon Theater which require a ticket. Access for one (1) to all Tribeca TV screenings/events as well as N.O.W (New Online Work) showcase and special screenings. Access for one (1) to Tribeca Immersive including Virtual Arcade with Storyscapes, and Tribeca Cinema360 Theater. Admittance is granted on a space available basis. Access for one (1) to Tribeca Games® events. Access for one (11) to the Tribeca Festival Hub which includes the the Tribeca Film Festival Press Lounge (5th floor), The Nespresso Lounge (6th floor), The Bai Lounge (7th floor), and the Tribeca Rooftop, all located at the Tribeca Festival Hub. Beacon Theatre events are ticketed separately. Access is not included with any badge. Access for one (1) to all Matinee screenings beginning prior to 5:30pm Monday - Friday at Village East Cinemas and Regal Battery Park, subject to available seating. A ticket is required for all other screenings and ticketed events. Additional Franklin eligible screenings will be announced at the start of the Festival. Access for one (1) to Tribeca Virtual Arcade with Storyscapes. Access is subject to availability. Franklin badge holders can stand in line for access via badge entry, you must be in line 30 minutes prior and access will be granted on a space available basis. More information will be sent to you if you selected Immersive as an interest in your credential application. Access to Cinema360 is available upon request and is subject to limited availability. Access to Day-of Tickets: Franklin badge-holders may present badge at any festival Box Office location and receive a complimentary ticket to available general screenings on the day-of the desired screening. If a screening is on Rush, badge-holder may wait in Rush line and is exempt from paying should tickets become available. This benefit does NOT entitle badge-holder to priority in Rush line. 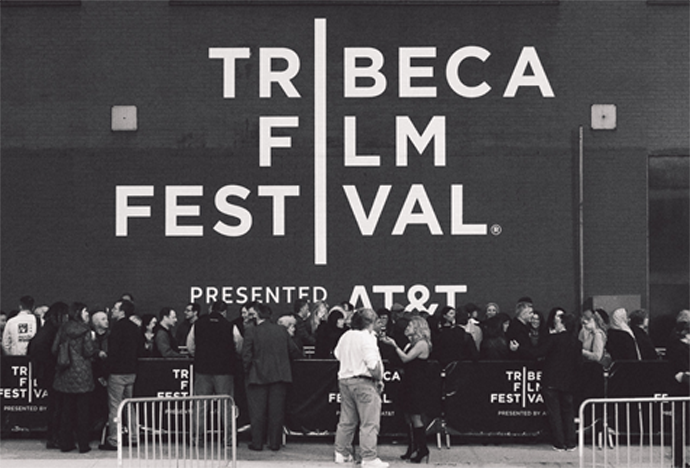 Excludes Tribeca Talks, Tribeca TV, Gala Screenings, Special Events and screenings/events at the Beacon Theatre. Access for one (1) to all Tribeca Talks®: Master Classes labeled Free and Future of Film talks, all subject to available seating. Does not include The Masterclass - The Art Of Cinematic Sound. Does not include other Tribeca Talks events for which a ticket request needs to be made. Opportunity to request (1) ticket to Tribeca TV, and Tribeca N.O.W (New Online Work) specials and showcase screenings/events. Tickets are subject to availability and are very limited. A form will be sent to you to return by March 29. Access to the Online Screening Library to view available films. The Franklin Press badge is not transferable and requires a photo. Beacon Theatre events are ticketed separately. Access is not included with Press Passes. Access for one (1) to the Tribeca Festival Hub located at Spring Studios including the Tribeca Film Festival Press Lounge (5th floor), The Nespresso Lounge (6th floor), The Bai Lounge (7th floor), and the Tribeca Rooftop. Access to the Press & Industry Online Screening Library. The Chambers Press badge is not transferable and requires a photo. NOTE: All badge holders must be present in line at the venue fifteen (15) minutes prior to Press & Industry Screenings start times and thirty (30) minutes prior to all other scheduled start times. Access to red carpets arrivals and press conferences for which press has RSVPed in advance to Anoushka Yousuf (yousuf@sunshinesachs.com) and received emailed confirmation. Public screening theater access to clients’ screenings only. Badgeholder may NOT occupy a seat without a ticket and must exit at the start of the film.